I can tell that lots of people are already hard at work in the kitchen for the holidays, so this list of 45 Favorite Christmas Cookies might be a little late! I started working on this post about a week ago, and got sidetracked. Whoops. 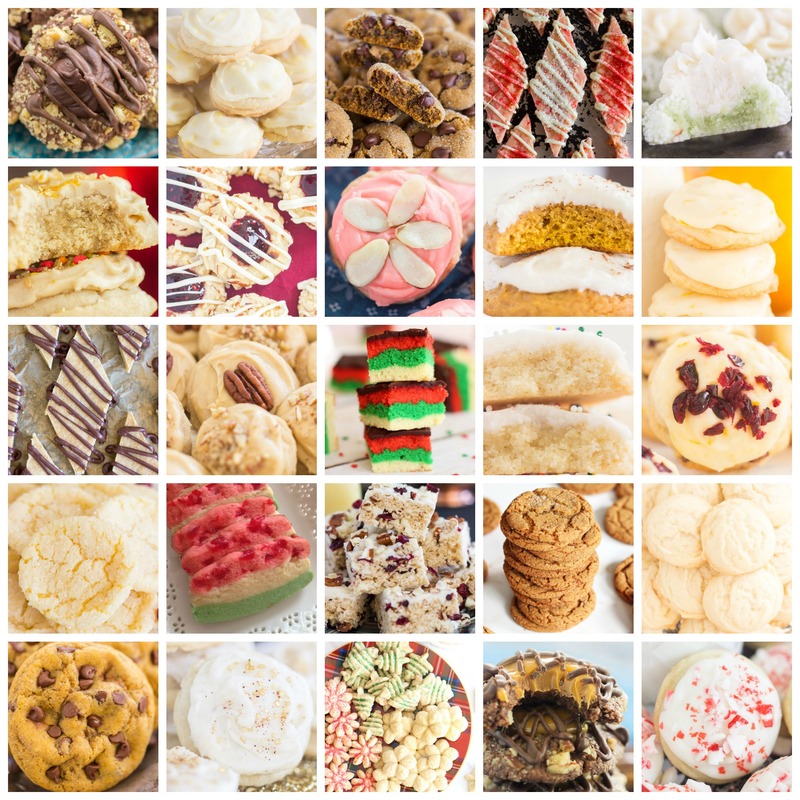 If you’re still putting together your Christmas baking list, here’s a great reference for cookies. 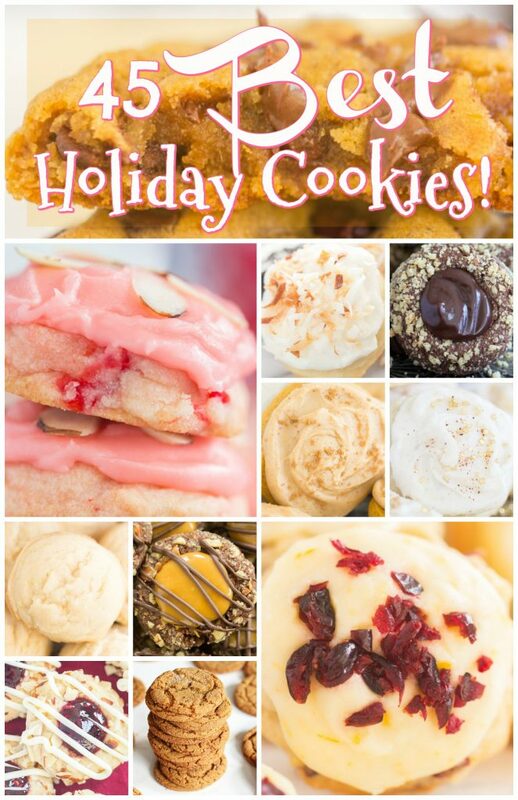 I have plenty of other cookies on the blog, but these are the best ones for the holiday season. 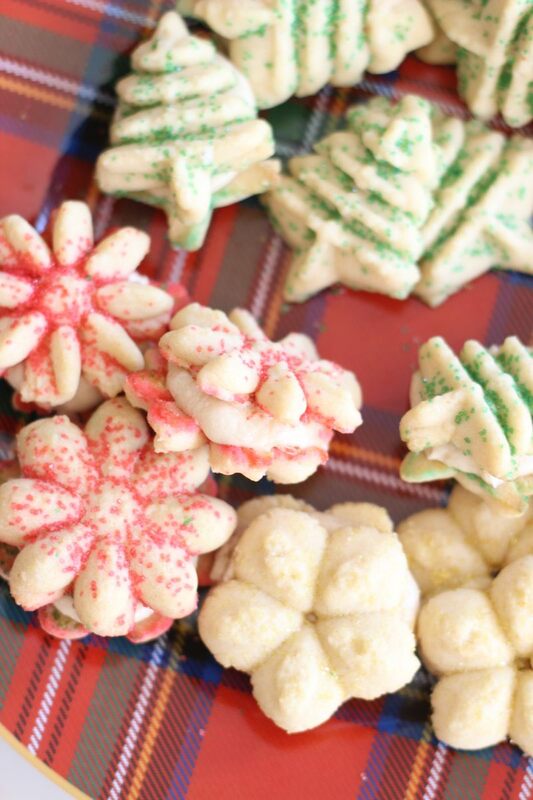 Some of my favorites, from shortbread to thumbprints, sugar cookies to spritz, this is the ultimate list of 45 Favorite Christmas Cookies! 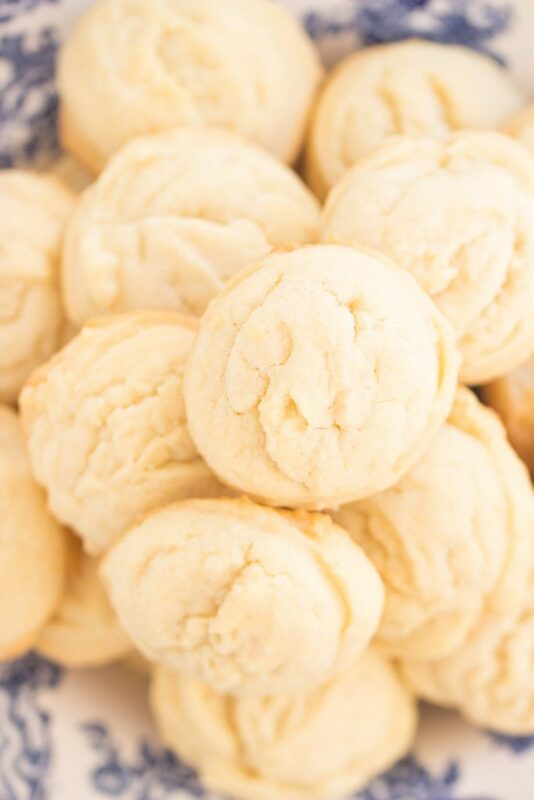 Amish Sugar Cookies: Soft, puffy, melt-in-your-mouth sugar cookies, made with common pantry ingredients, and SUPER effortless & easy! 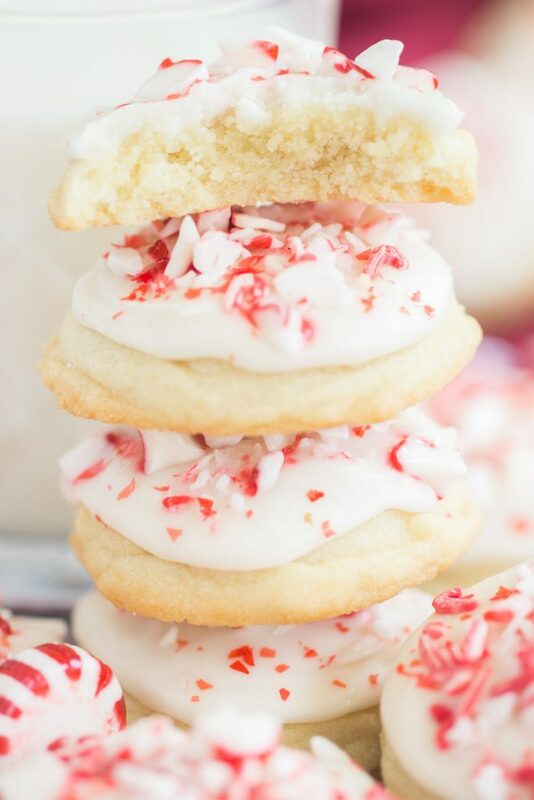 Peppermint Amish Sugar Cookies: With peppermint extract, peppermint icing, and crunchy bits of peppermint candy! 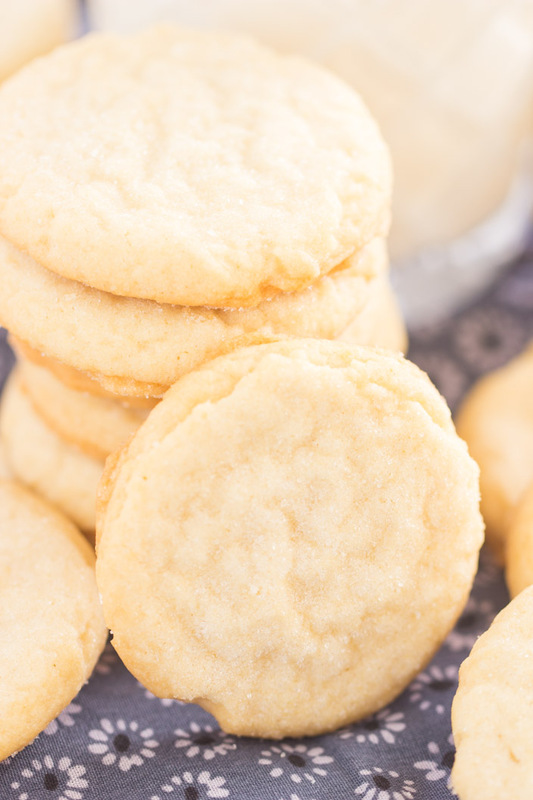 Eggnog Amish Sugar Cookies: These are *incredible* if you’re an eggnog lover. Strong on eggnog flavor with the help of rum and nutmeg. 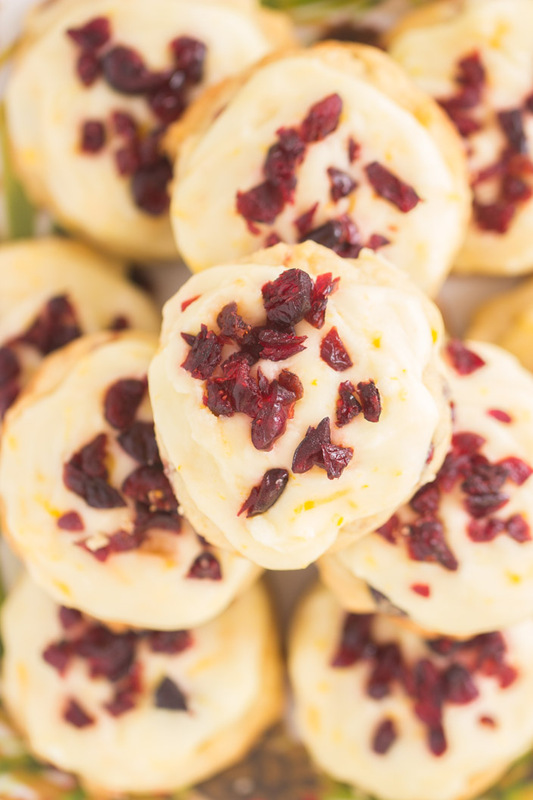 Cranberry Orange Amish Sugar Cookies: A classic holiday combo of flavors! The fresh orange icing is to-die-for! 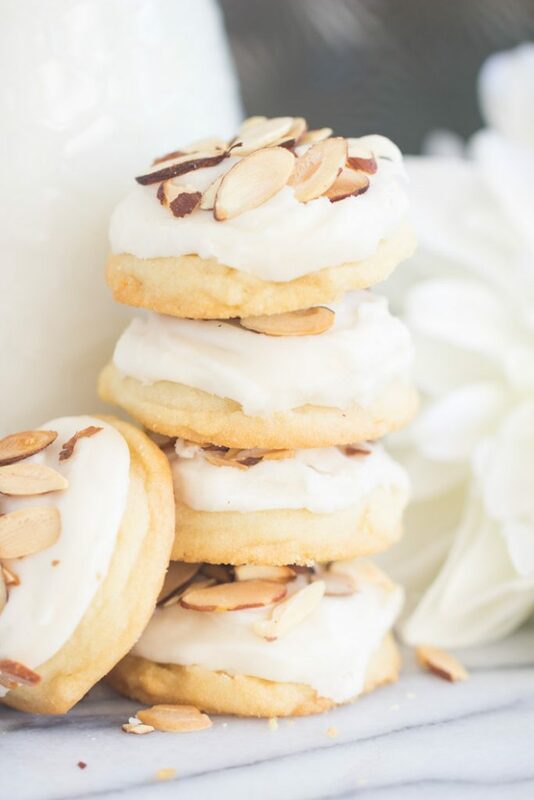 Cherry Almond Amish Sugar Cookies: My personal favorite version of Amish Sugar Cookies, these feature a perfect combo of flavors. 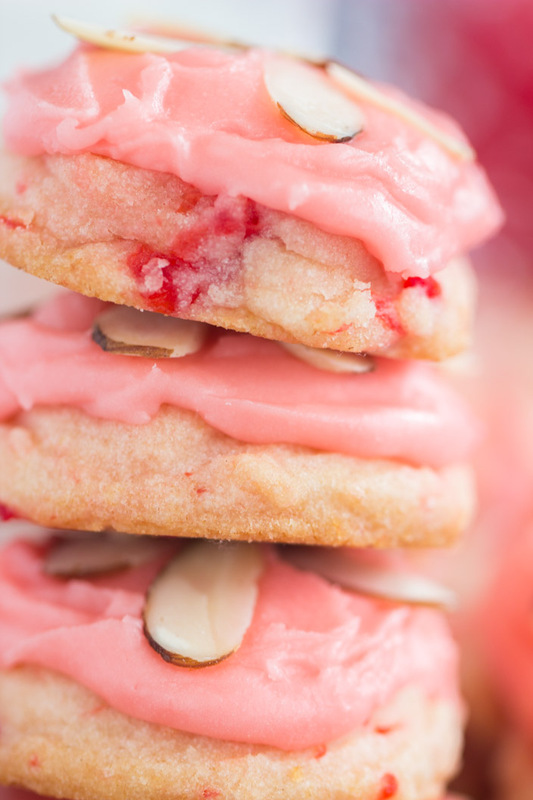 The cherry-almond icing is dynamite! 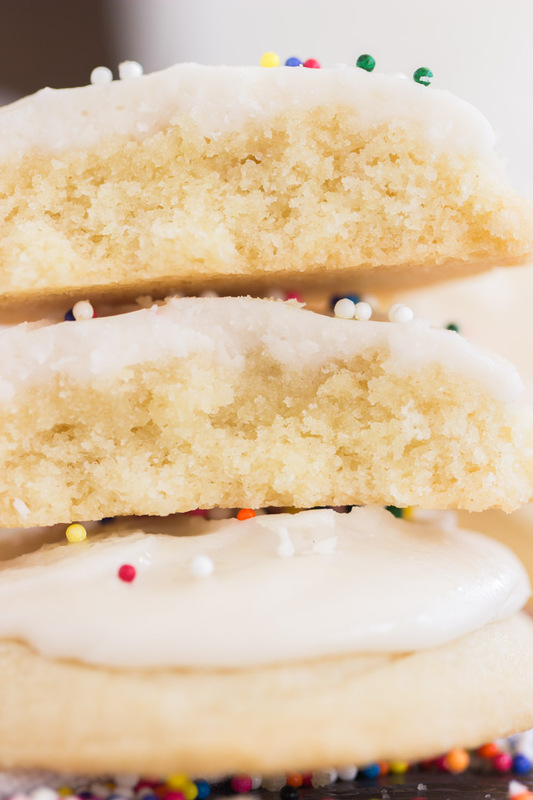 Iced Vanilla Amish Sugar Cookies: Simple, classic, timeless, and a crowd-pleaser. 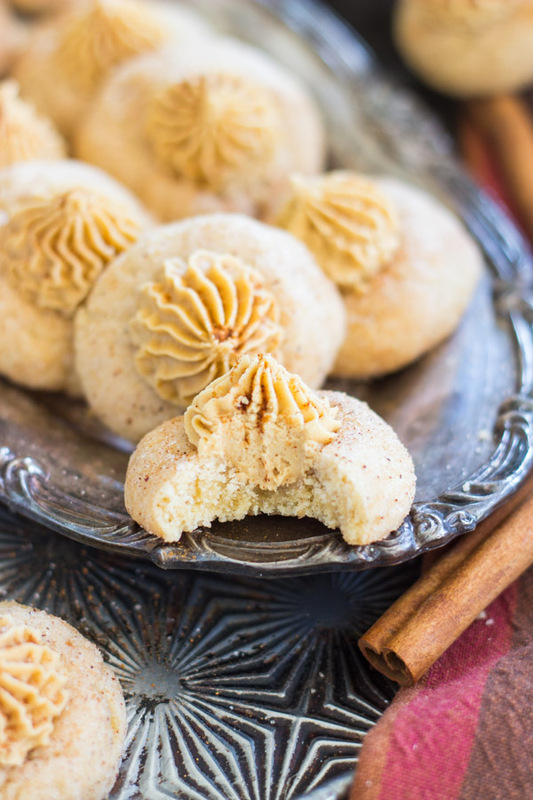 Iced Chai-Spiced Amish Sugar Cookies: With cozy spices from top to bottom. 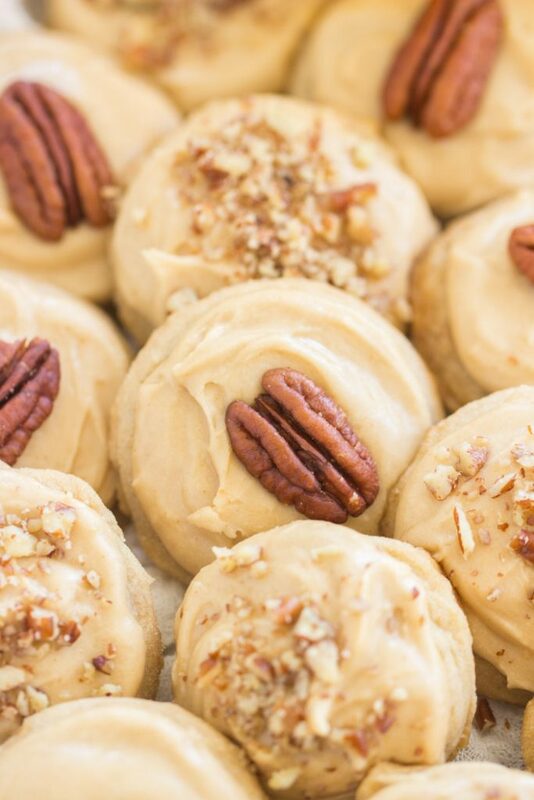 Pecan Praline Amish Sugar Cookies: Caramel icing, and lots of toasty pecans! 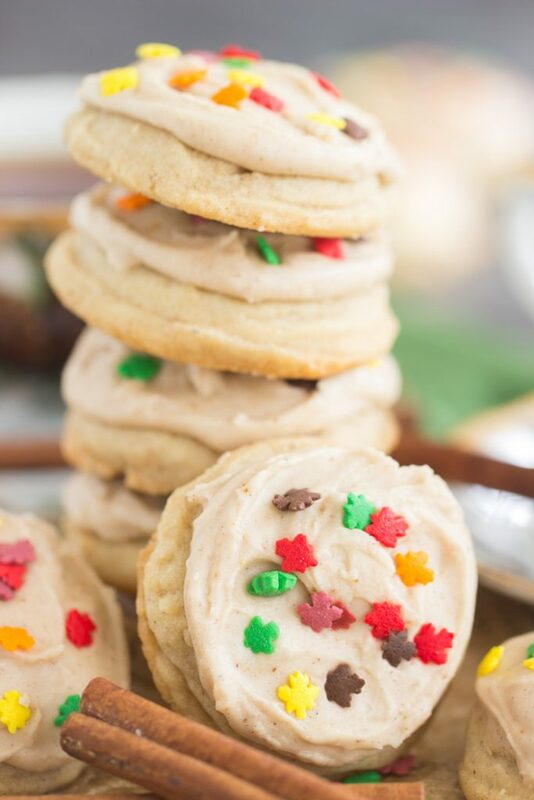 Iced Maple Amish Sugar Cookies: My second favorite Amish Sugar Cookie. I’m a sucker for a soft maple cookie! 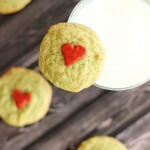 Iced Almond Amish Sugar Cookies: These are irresistible too! How can a person pick a favorite? 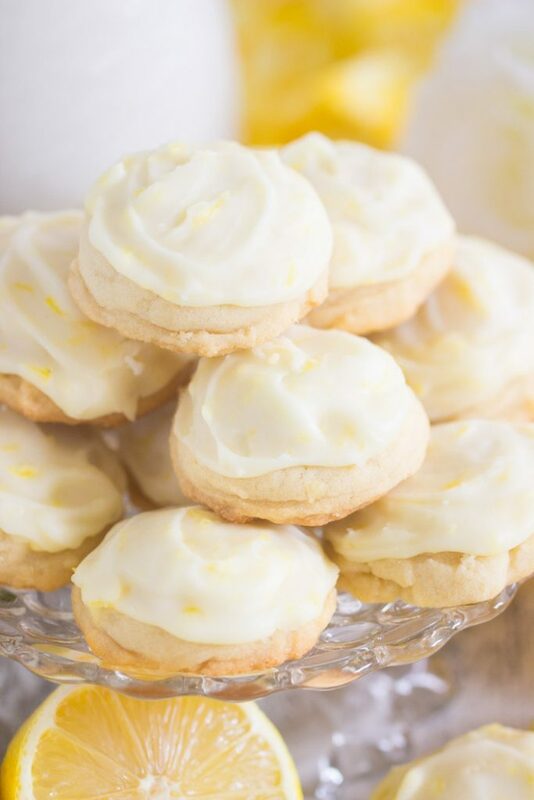 Iced Lemon Amish Sugar Cookies: If you’re a sucker for an excellent lemon cookie, then these are for you! I adore lemon cookies when done just right! 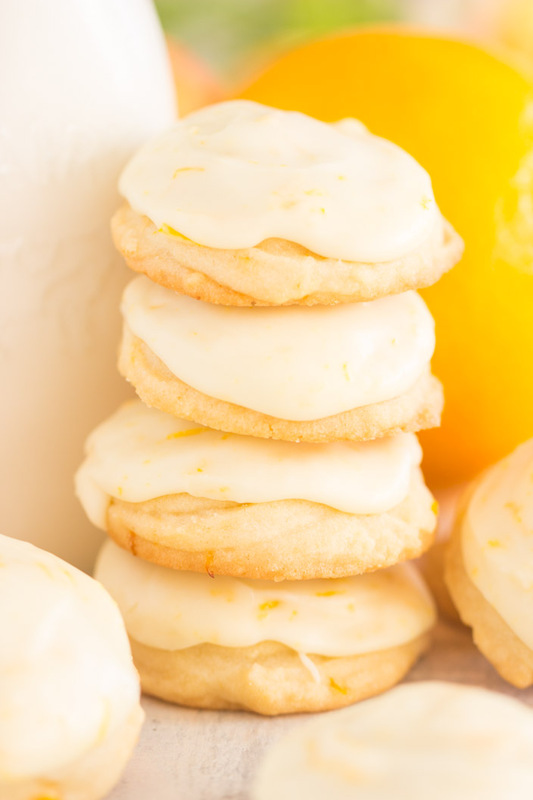 Iced Orange Amish Sugar Cookies: I never really met an orange cookie I didn’t like either. Orange icing piled on thick! 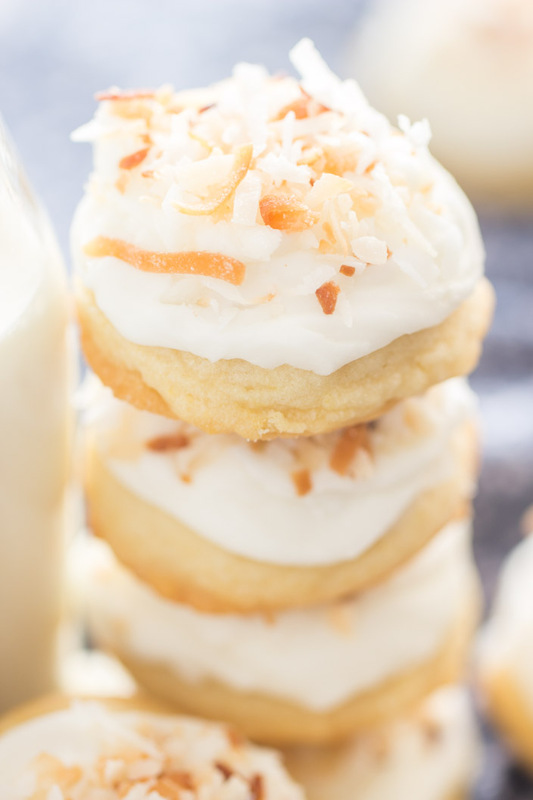 Toasted Coconut Amish Sugar Cookies: The coconut icing with the toasted coconut on top is a fierce duo. 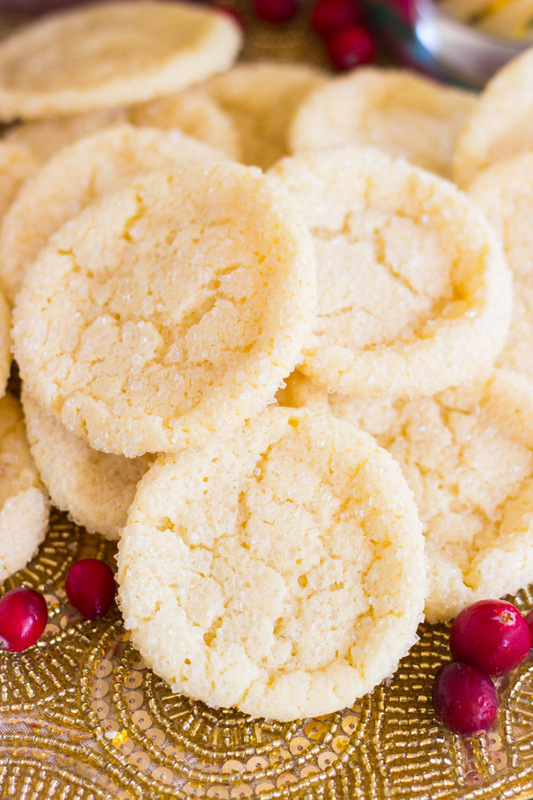 Thin Crispy Amish Sugar Cookies: I know there are crispy cookie-lovers out there. Give these a shot. They are amazing for dunking – coffee, milk, eggnog, whatever! 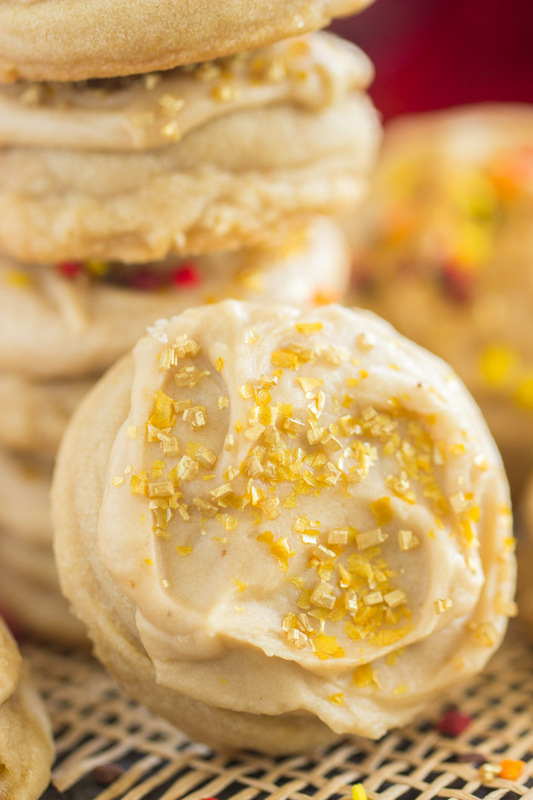 Classic Sugar Cookies: Possibly the most luxurious cookie I’ve ever tasted. They’re oozing with richness. They’re also ultra-chewy! 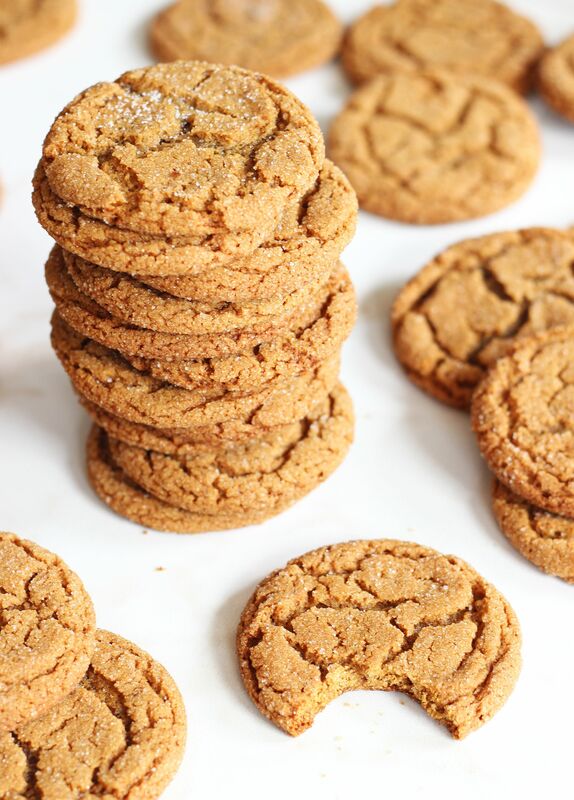 Cracked Top Ginger Cookies: A long-time family favorite. We’ve made these for years, and they’re universally adored. Chocolate Chip Ginger Cookies: These are an insanely soft & chewy ginger cookies, and crammed with semi-sweet chocolate. 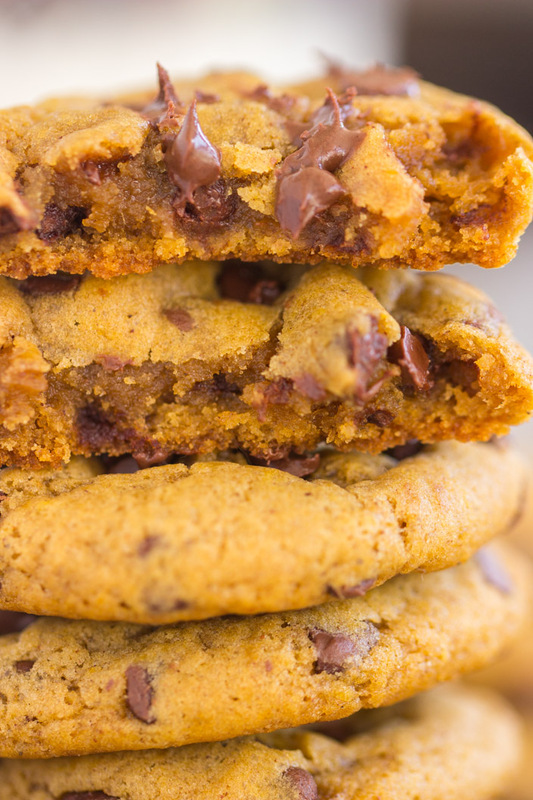 You’ll be surprised how well chocolate fits in ginger cookies. 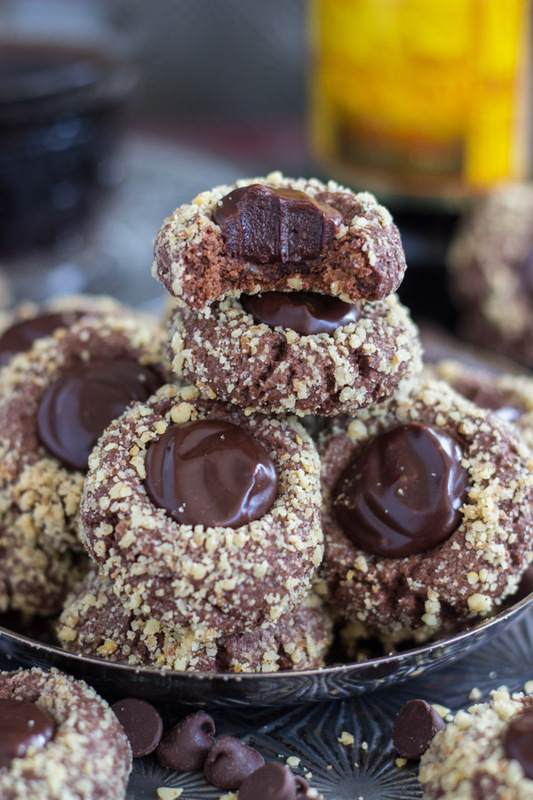 Chocolate Hazelnut Thumbprints with Kahlua Ganache: Everyone goes crazy for these! The ganache is EVERYTHING. 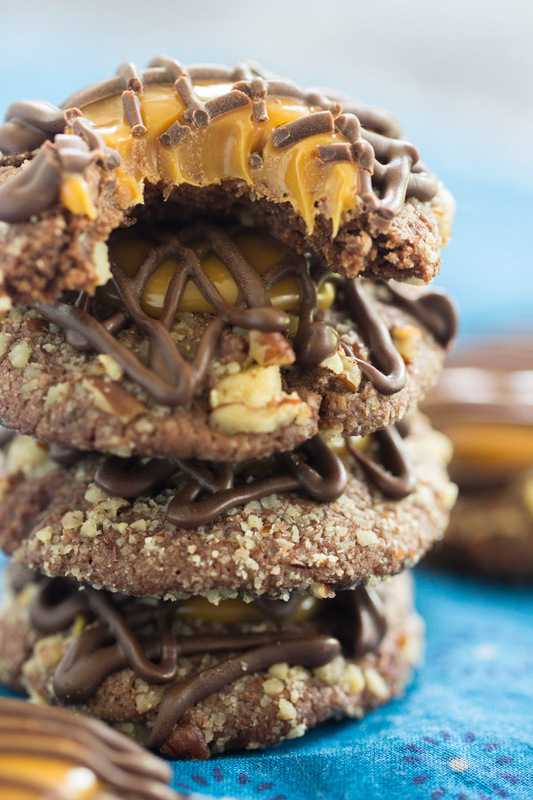 Turtle Thumbprint Cookies: Cocoa thumbprints, creamy caramel, and toasty pecans! 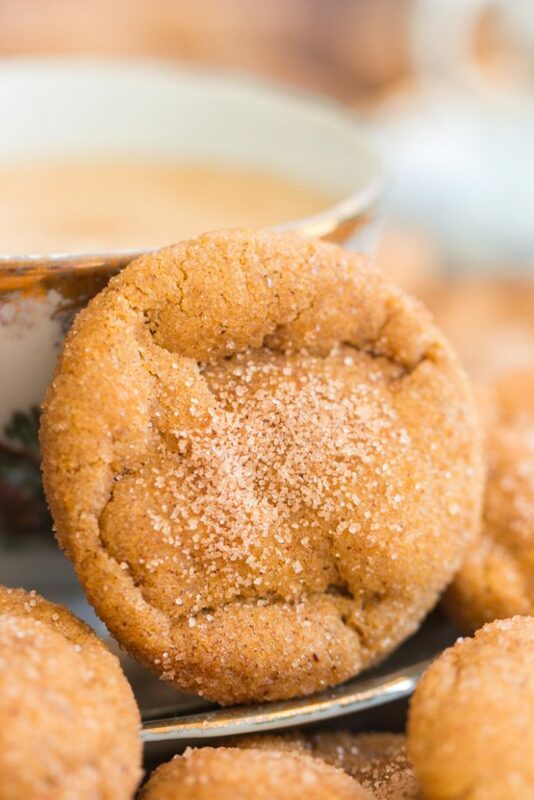 Snickerdoodle Thumbprints with Cookie Butter Buttercream: Cinnamon-sugar dusted buttery cookies filled with fluffy Biscoff cookie butter frosting! 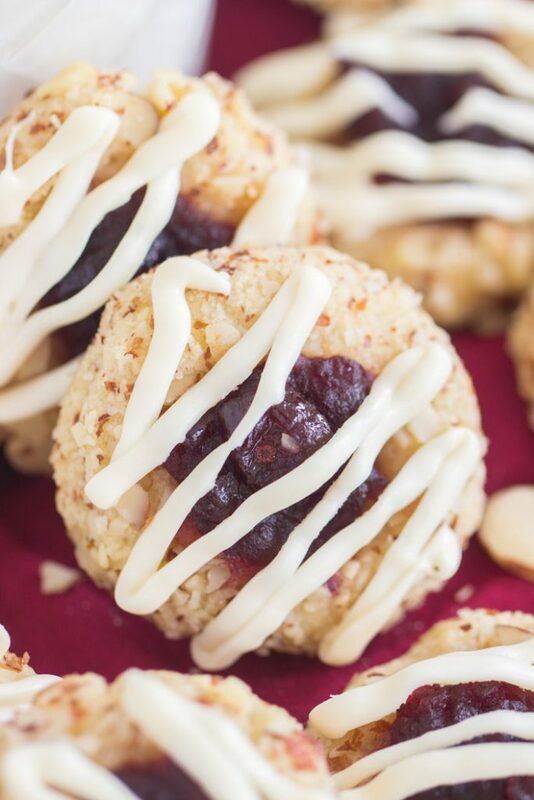 White Chocolate Raspberry Almond Thumbprint Cookies: There’s not much that can top the trio of white chocolate, raspberry and almond together! 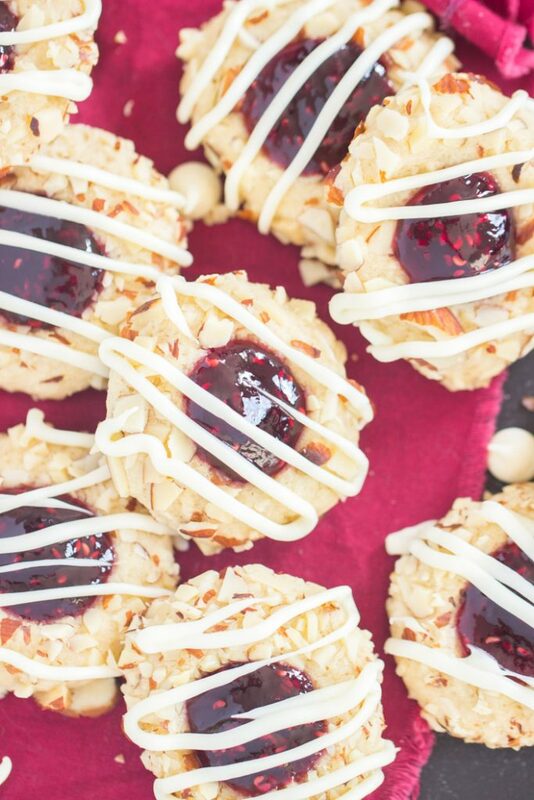 White Chocolate Cranberry Almond Thumbprint Cookies: Although, the cranberry filling is quite special too! 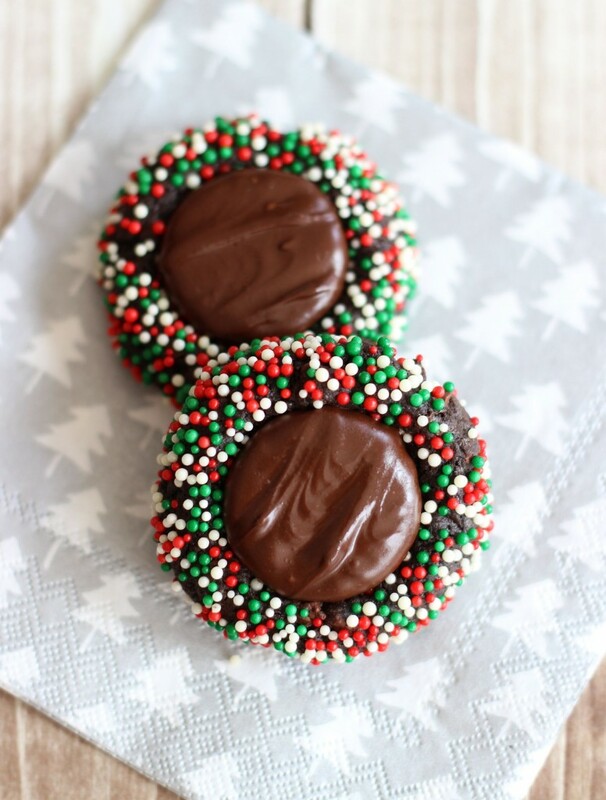 Dark Chocolate Peppermint Patty Thumbprints: So festive, and the gooey, minty center is delightful. 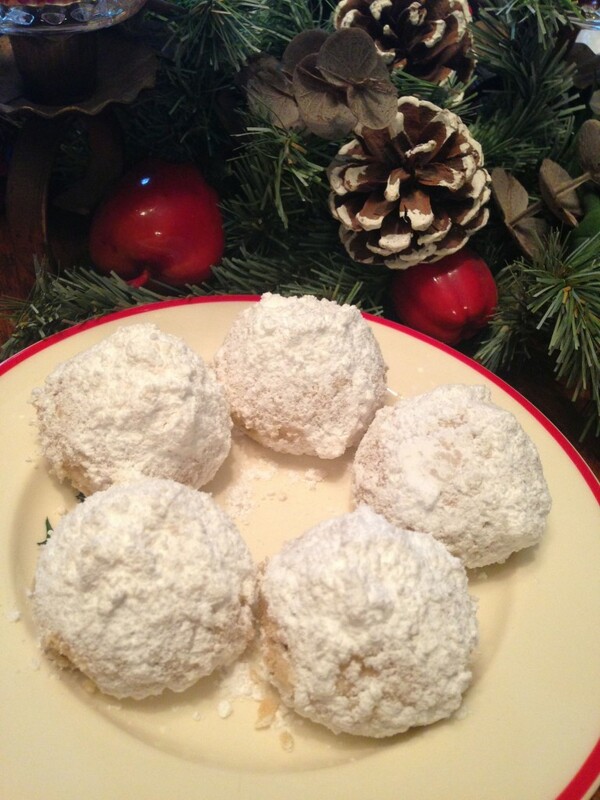 Snowball Cookies: Another long-time family favorite recipe. 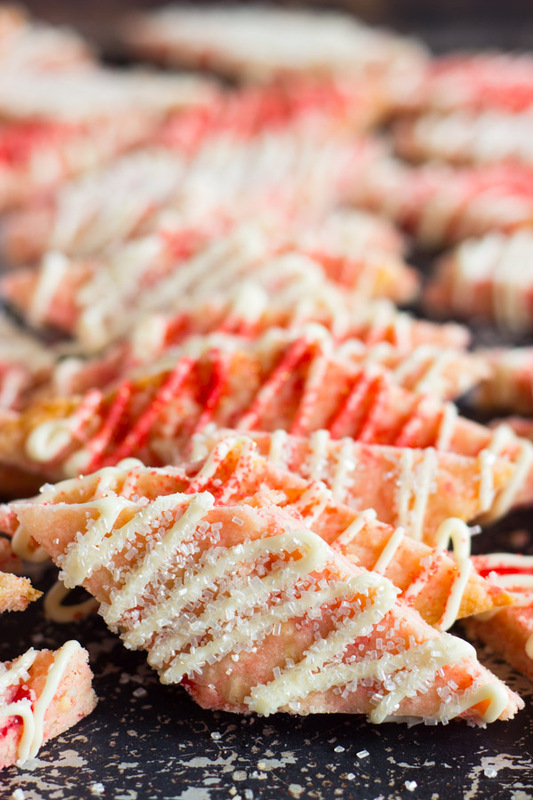 These are so simple and only require a few basic ingredients, but the whole is greater than the sum of its parts! 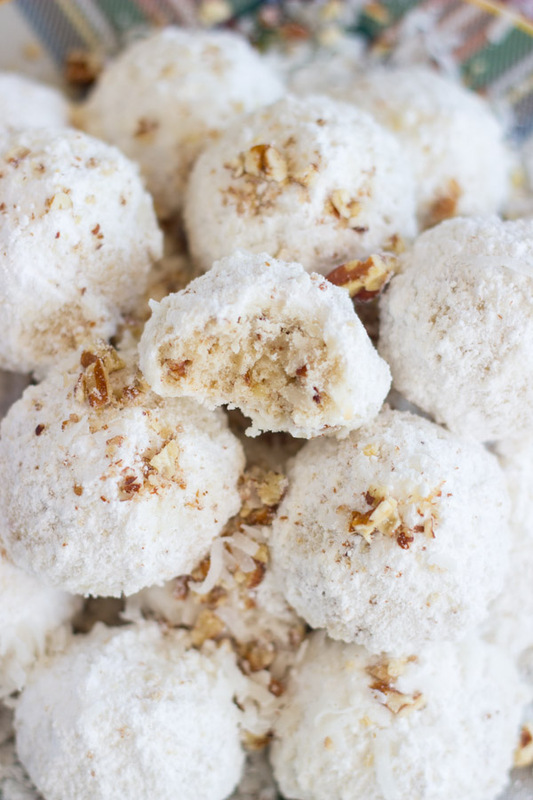 Coconut Pecan Snowballs: A fun twist on Classic Snowballs. 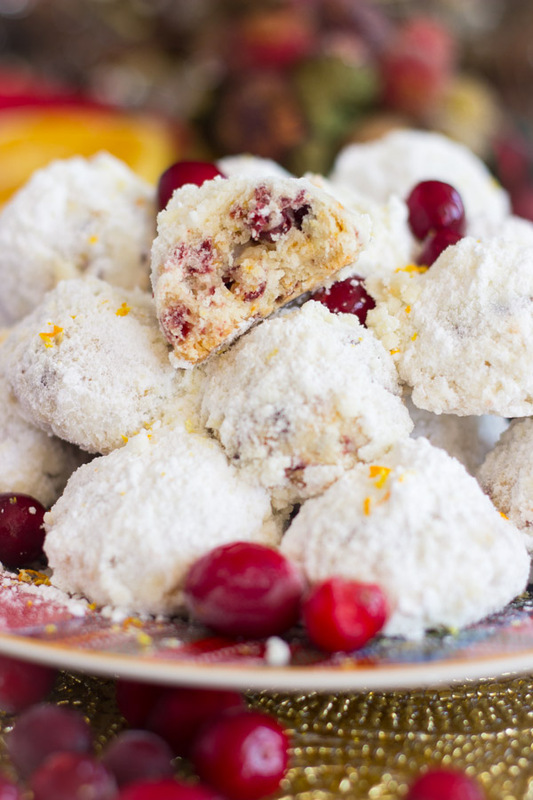 Cranberry Orange Snowballs: With fresh orange zest and dried cranberries! 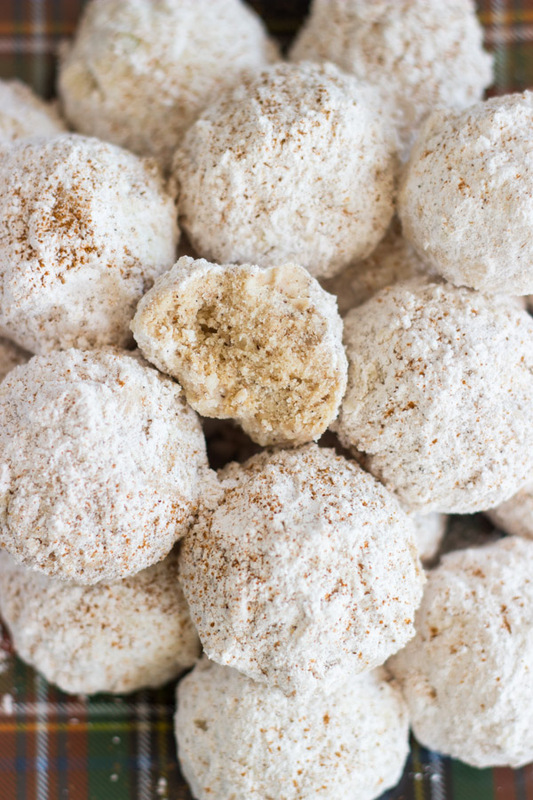 Chai-Spiced Snowballs: A blend of warm spices give these Classic Snowballs a fun makeover. 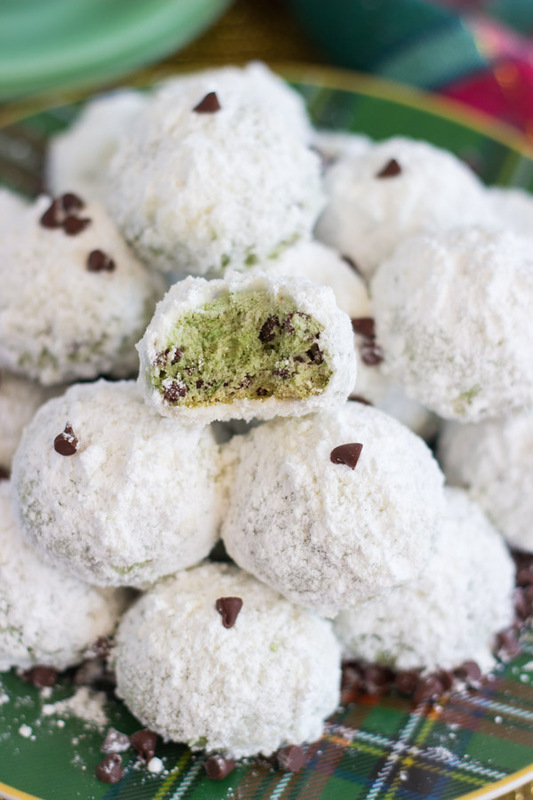 Mint Chocolate Chip Snowballs: Perfect for Christmas cookie trays. 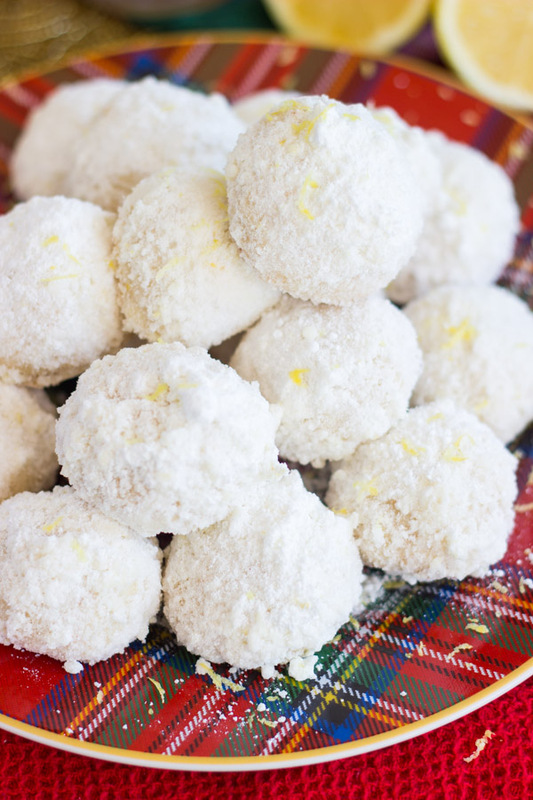 Lemon Snowballs: Fresh lemon zest and lemon extract add a refreshing citrus twist. 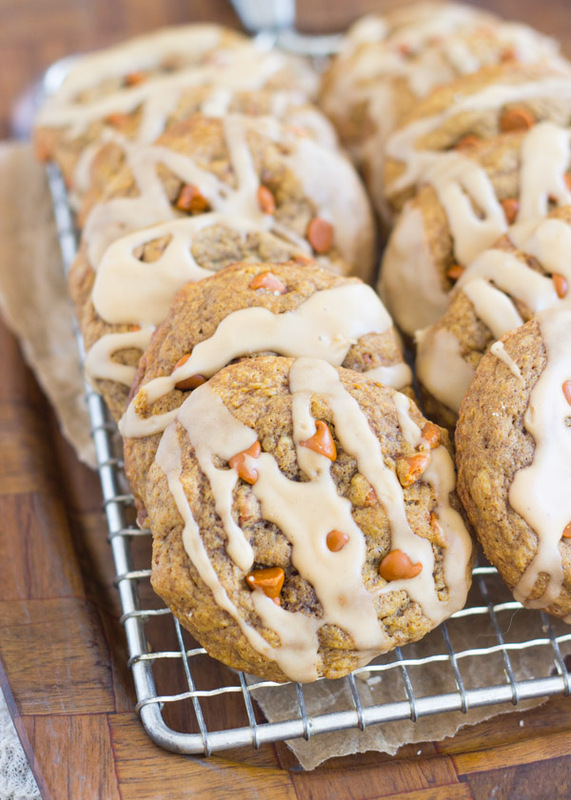 Pumpkin Oatmeal Scotchies: One of my all-time favorite cookies – now with pumpkin! 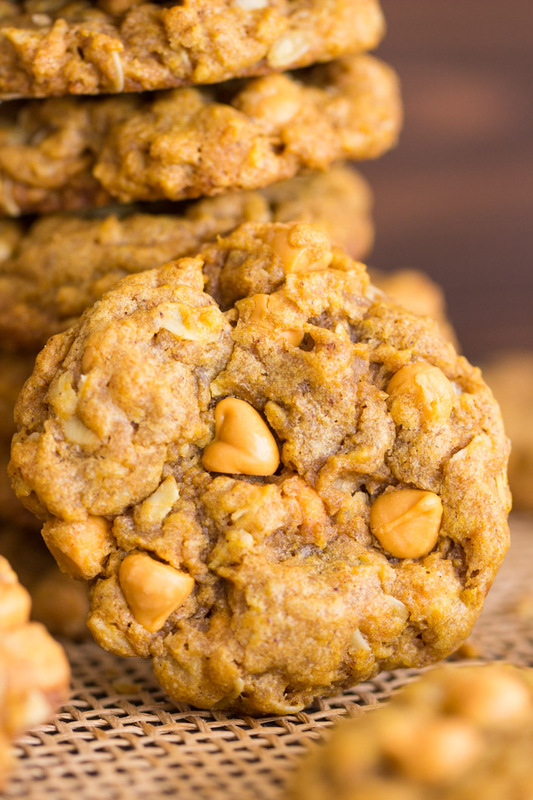 Oatmeal Peanut Butter Cookies: These are so soft, chewy, and peanut butter-y! 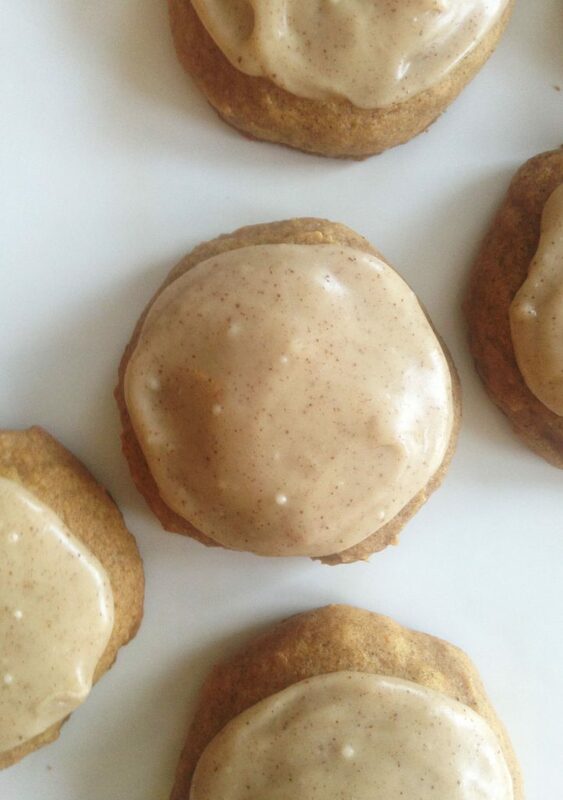 Pumpkin Spice Latte Cookies: These are not cakey like most pumpkin cookies. They’re soft, chewy, nicely spiced, and drizzled with coffee glaze. 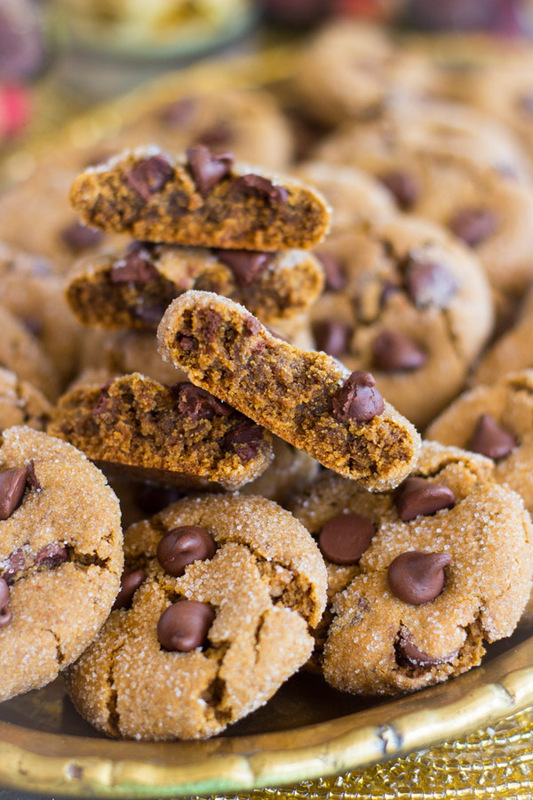 Chewy Pumpkin Chocolate Chip Cookies: The same soft & chewy pumpkin cookies as the PSL cookies, but crammed with chocolate. Soft & Chewy Pumpkin Snickerdoodles: Dusted with cinnamon-sugar! Pumpkin Cookies with Brown Butter Icing: These are cakier pumpkin cookies, but they still have substantial chew, and they’re soft & puffy. 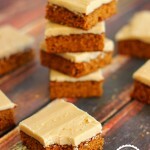 The brown butter icing is the BEST. 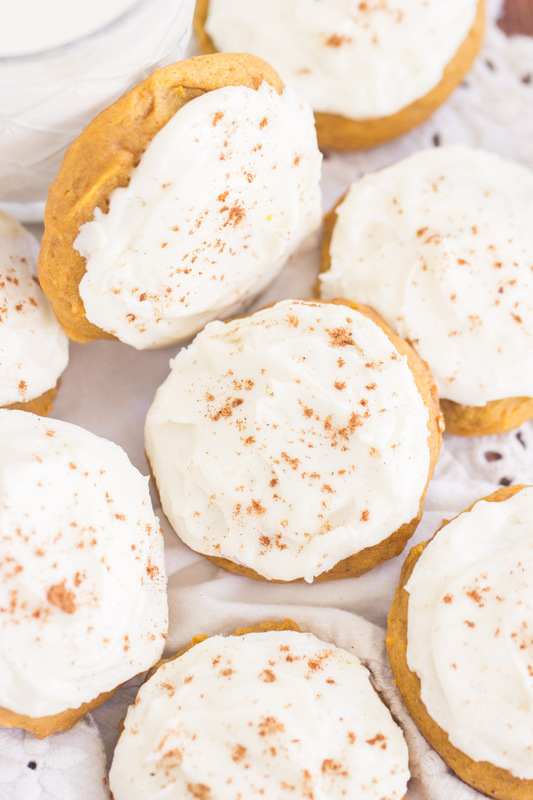 Pumpkin Cookies with Cream Cheese Frosting: Nothing beats this classic combo – pumpkin and cream cheese together are spectacular. 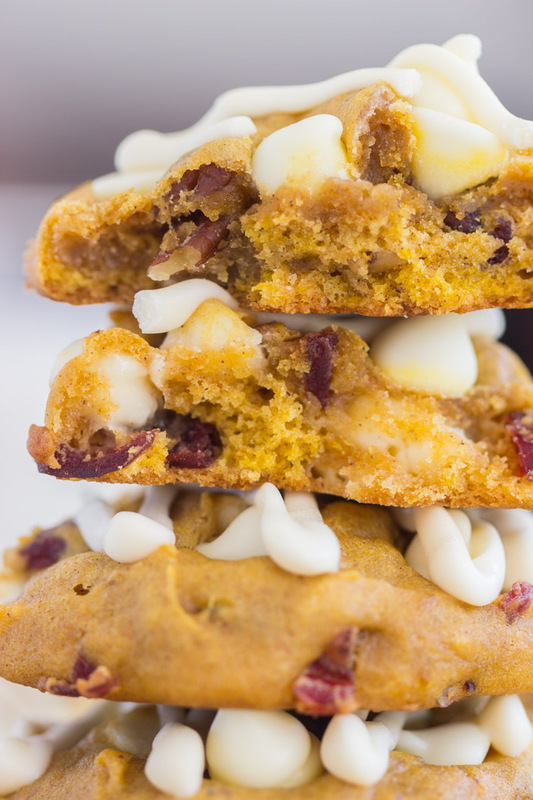 White Chocolate Cranberry Pecan Pumpkin Cookies: Every bite is chock-full of goodness. 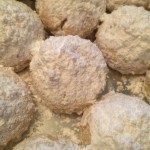 Raisin Puffs: One of my Gma’s favorite cookies, we’ve been making these for years. They don’t sound like much, but they’re quite exceptional. 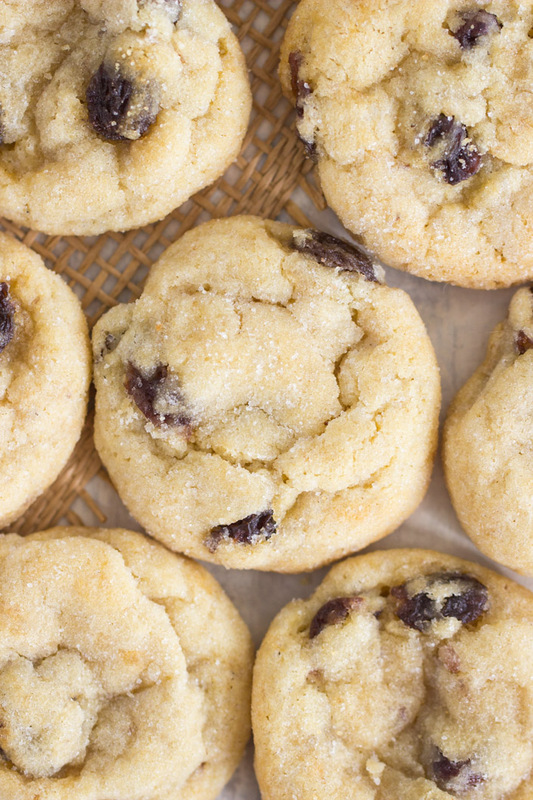 The simmered raisins take on such depth of flavor, and the cookies are so soft & puffy. 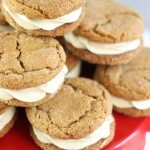 Brown Butter Spritz Cookie Sandwiches: Brown butter makes everything better, I always say! Adding caramel-like qualities and nuttiness to traditional Spritz! 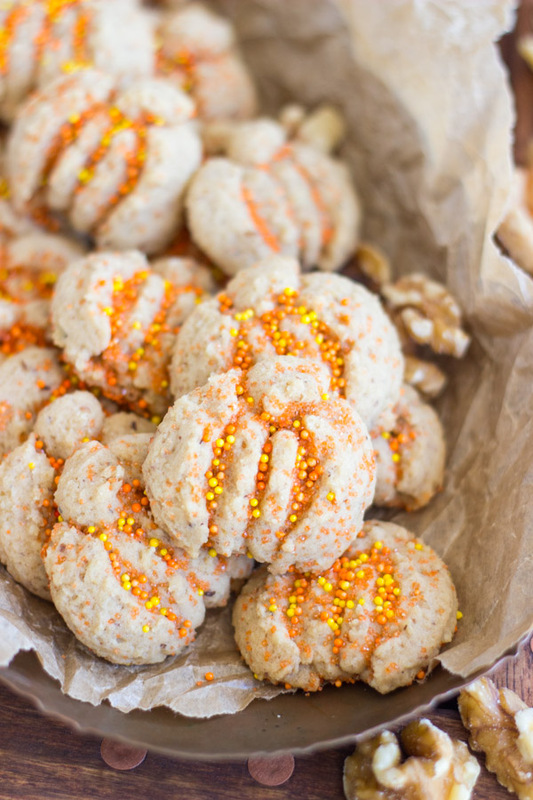 Maple Walnut Spritz Cookies: A new spin on Spritz cookies! 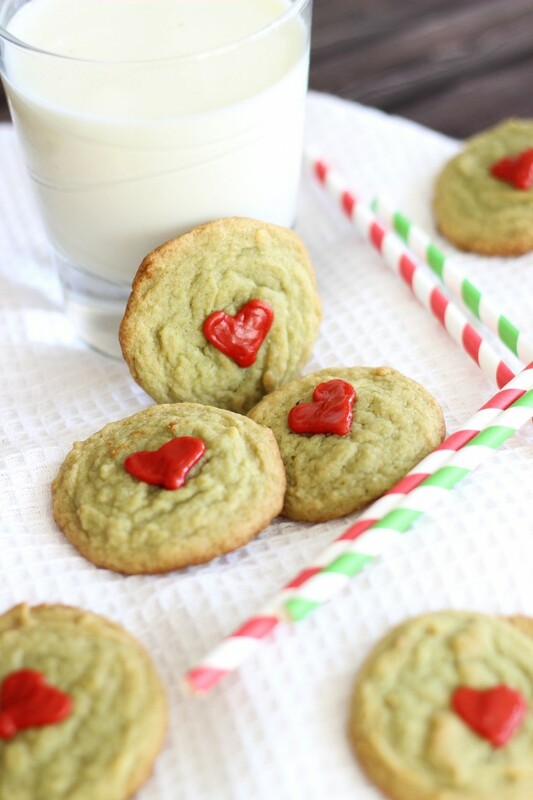 Grinch Cookies (Pistachio Pudding Cookies: Super simple, and loaded with pistachio flavor! 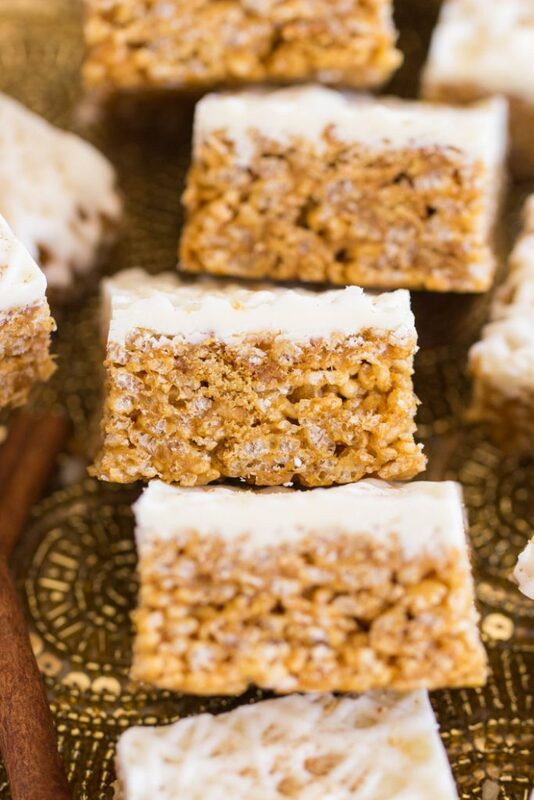 Gingerbread Rice Krispie Treats: If you want to elevate classic RKTs for the holidays, here’s a great option! 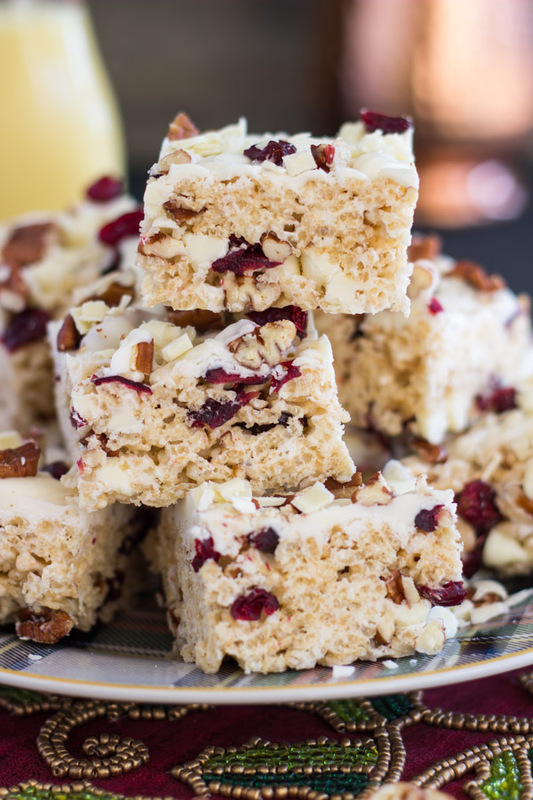 White Chocolate Cranberry Pecan Rice Krispie Treats: Another option. Just as easy as classic RKTs, but kicked up a few notches. 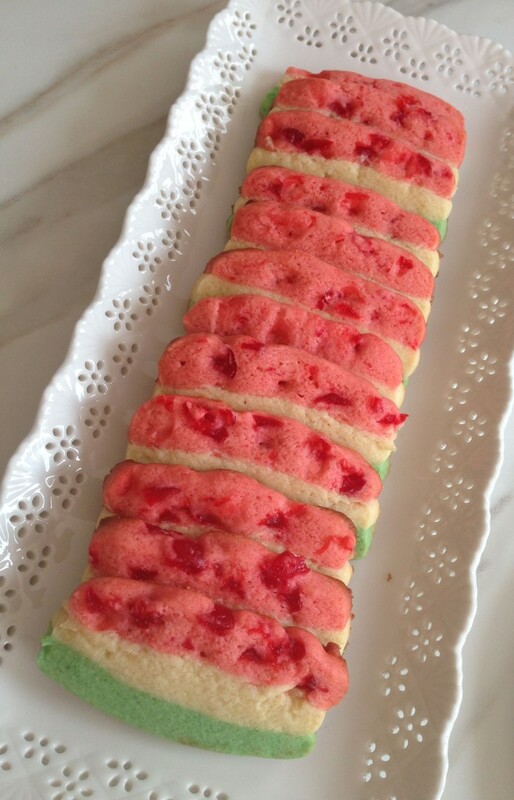 White Chocolate Cherry Almond Shortbread: I love any cherry-themed desserts, and these don’t disappoint. 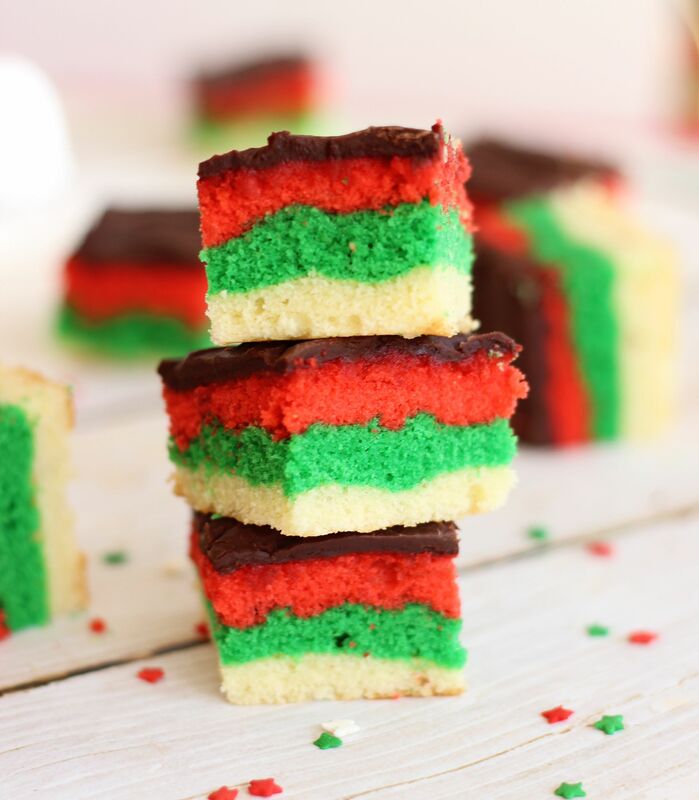 Italian Spumoni Cookies: A little more work, but they are so beautiful on cookie trays! These are always a show-stopper. 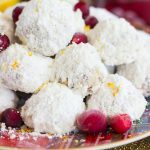 Italian Christmas Bars: Also a bit more work, but also a show-stopper! 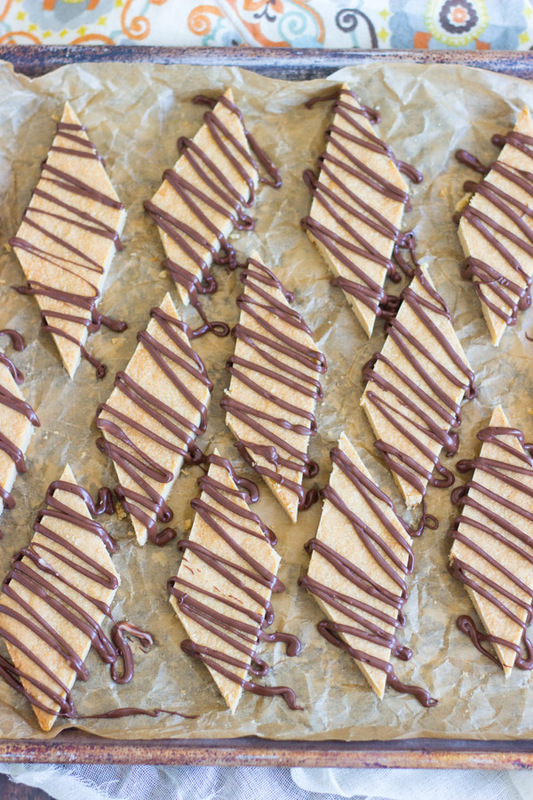 Peanut Butter Shortbread: Anything but ordinary shortbread, this recipe is a must-try. 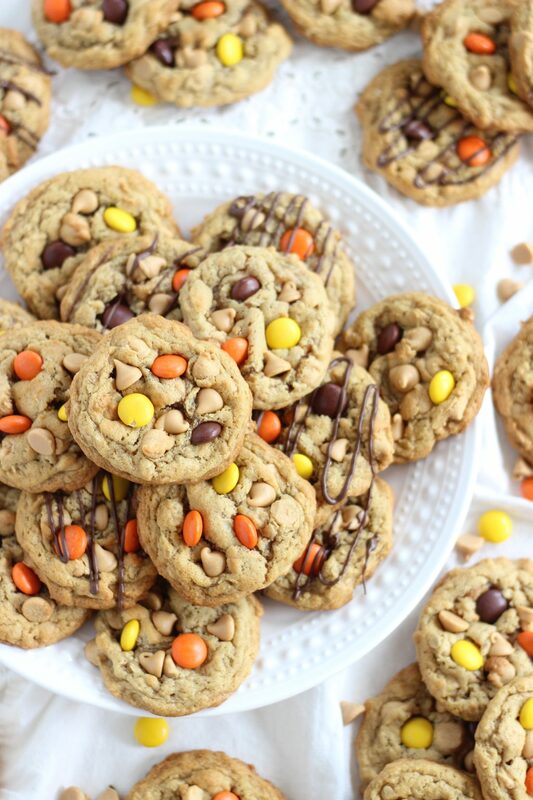 Find more recipes on my Pinterest page! What are you putting on your list? 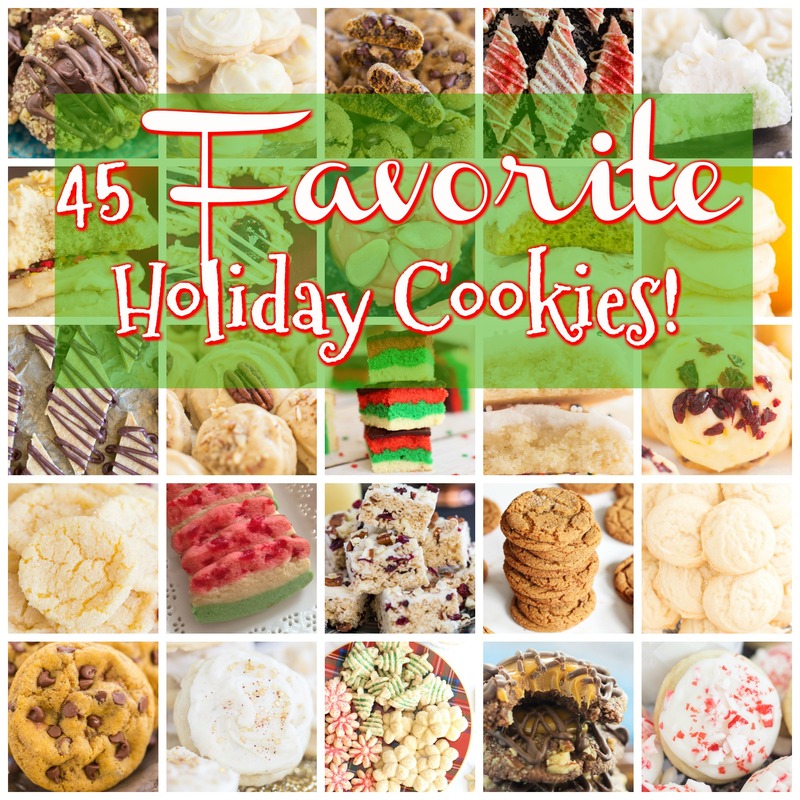 I hope you enjoyed this list of Favorite Christmas Cookies!